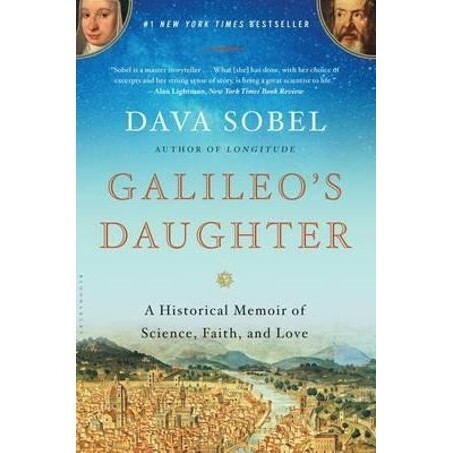 Inspired by a long fascination with Galileo, and by the remarkable surviving letters of his daughter Maria Celeste, a cloistered nun, Dava Sobel has crafted a biography that dramatically recolors the personality and accomplishments of a mythic figure whose early-seventeenth-century clash with Catholic doctrine continues to define the schism between science and religion-the man Albert Einstein called "the father of modern physics-indeed of modern science altogether." It is also a stunning portrait of Galileo's daughter, a person hitherto lost to history, described by her father as "a woman of exquisite mind, singular goodness, and most tenderly attached to me. "Moving between Galileo's grand public life and Maria Celeste's sequestered world, Sobel illuminates the Florence of the Medicis and the papal court in Rome during the pivotal era when humanity's perception of its place in the cosmos was about to be overturned. During that same time, while the bubonic plague wreaked its terrible devastation and the Thirty Years' War tipped fortunes across Europe, Galileo sought to reconcile the Heaven he revered as a good Catholic with the heavens he revealed through his telescope. Dava Sobel is an award-winning science writer and the internationally bestselling author of " Longitude" and "The Planets." "Longitude" has sold more than 2.5 million copies worldwide. She is co-author of "The Illustrated Longitude." She lives in East Hampton, New York.